Our garden has been a bit of a saga over the years. We’ve redefined the border, built a fence, dug it up, flattened it, had a patio laid, grassed it and dug it up again. It’s never been usable, safe or child friendly. It still isn’t (with a huge hole in the grass) and I’m desperate to be able use it. 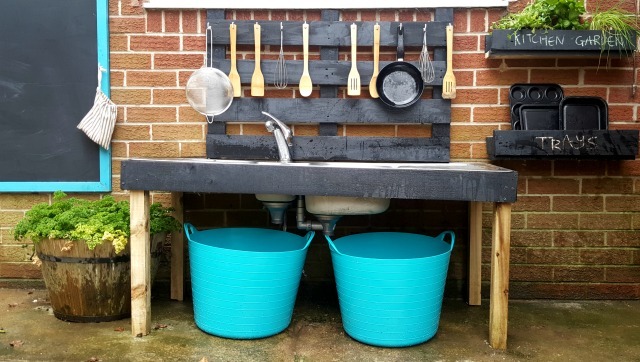 Last week we had two beautifully sunny afternoons, and I used them to make the boys a mud kitchen. The brilliant thing about this project is that it really doesn’t have to be perfect, and the ideas develop as you go. Mine is based on one that a friend’s husband built, but I’ve adapted it to fit the space we had available. 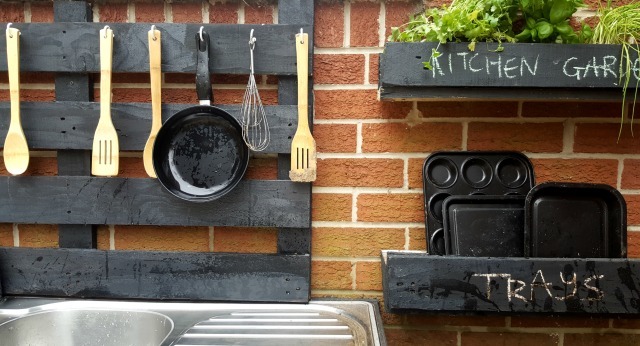 Even though I knew it would be quite easy, it turned out better than I expected (a nice surprise) – you just need to be confident with a drill. I haven’t written step-by-step instructions, as it really depends on what space you have to work with, but I have included everything that I used, should you like to have a go. 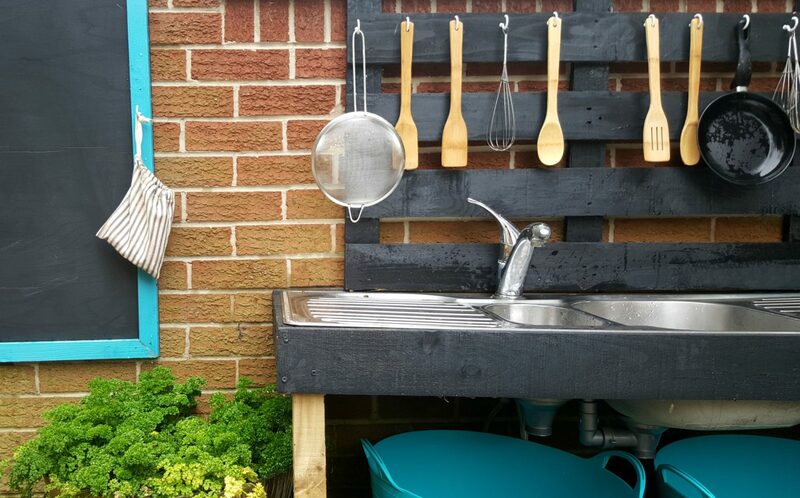 Could a play date, or BBQ be on the cards for our garden this year? I really hope so. I love this. 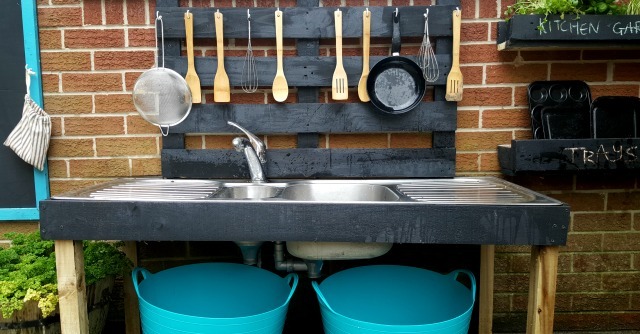 A mud kitchen is high on my wishlist for this year. Wow, this is brilliant! The boys are so lucky that you’re creative enough to build something like this for them. I’m sure there will be hours of fun to be had with it. This looks great! It looks real well planned and well equipped too. Your children must be thrilled. 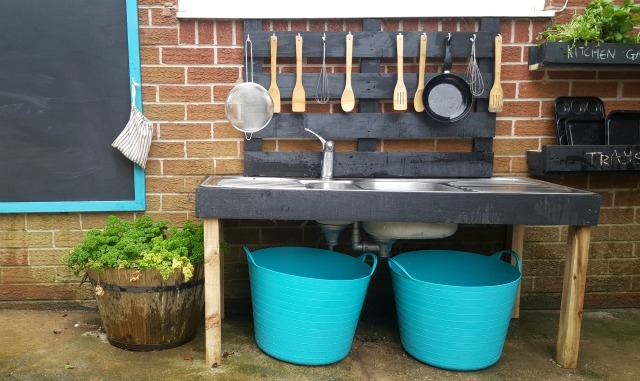 I don’t know any children who don’t love a mud kitchen.